Kerry's minor footballers may have scored that record five in-a-row last week but another team from the county is hoping to make even more history in Croke Park this weekend. The Kingdom's camogie team are making their first appearance ever in Croke Park and the team that faces Dublin in the premier junior final is doubly unusual because they all play for the same club. The county only has one adult camogie team - Clanmaurice - and two minor ones, so they have reached the Holy Grail without having any local league or championship action. Clanmaurice actually reached the All-Ireland junior club final last year and Kerry captain Jackie Horgan explains that the club/county team is an amalgamation of players from across the county's small but tightly-knit hurling heartland. "There's eight men's hurling clubs in North Kerry and we're from all of those. I'm from Crotta and Clanmaurice also has players from the likes of Lixnaw, Abbeydorney, Ballyheigue and so on. "Clanmaurice used to play in Limerick competitions but we don't do that anymore because we won the junior and would have to go up to senior. "We wouldn't be able for that so we just train and play for the county and play in Munster with the club." Many of this Kerry team have garnered experience and stood out already in the ultra-competitive world of third-level camogie. 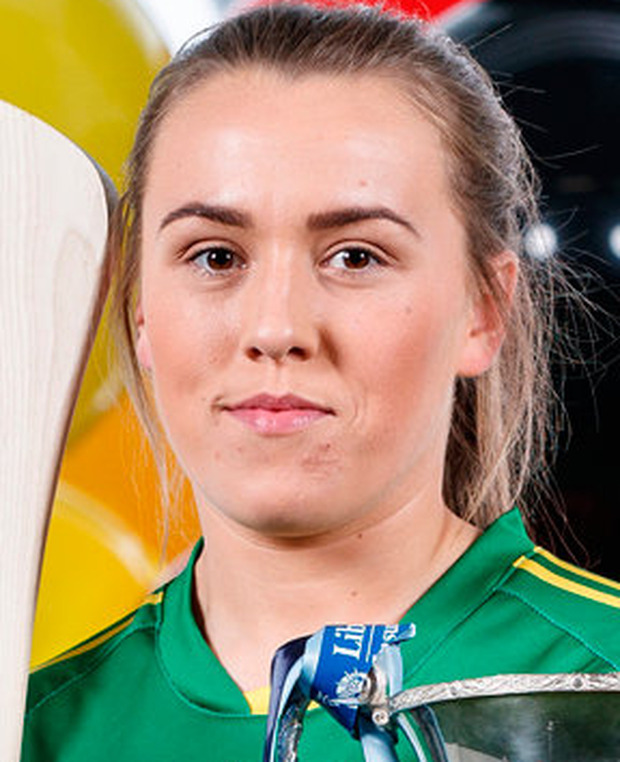 Star forward Patrice Diggins - before she graduated from the University of Limerick - won Player of the Match in the Ashbourne Cup final in 2016, the blue riband of college camogie. Niamh Leen and Horgan are still figuring prominently for UL and Kerry also have players lining out for other strong college teams in Cork and Limerick. Yet they're all happy to make the long trek home to training every Wednesday and Friday. "The hardest thing is the location," says Gary O'Brien, team coach and right-hand man to manager Stephen Goggin for the last three years. "If you're playing a challenge game anywhere it's a minimum hour's drive from where we are in North Kerry," he says. "But you get used to it and the players are so committed. They're there every night and make it very easy to work with them." This summer's success has underlined Kerry's upward curve in the code. They won a Division Four title in 2015 and will play in Division Two next year after beating Roscommon in this year's Division Three final. They reached the championship semi-finals last year, topped their group on goal difference this summer, beat Roscommon again in the semi-final and have racked up 5-50 to date. Sunday marks their second final this year and their first ever appearance in the GAA's Field of Dreams. "Winning Division Three was a big step up for us and now we're going to give it one more big push," Horgan says. "The buzz in training has been fantastic because to play in Croke Park is just a dream come true."